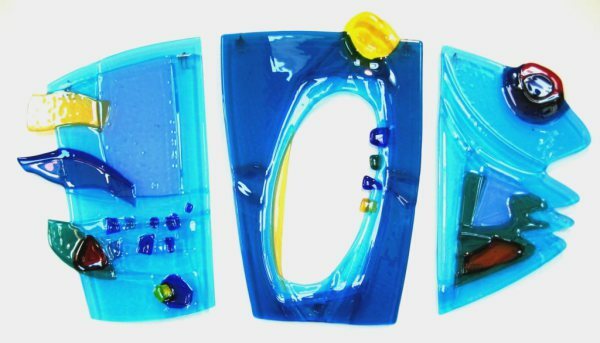 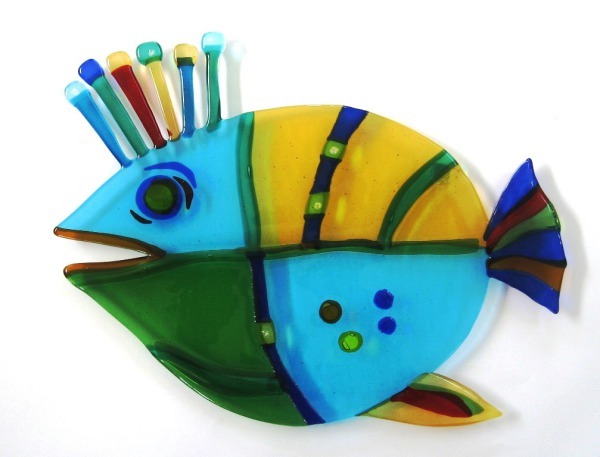 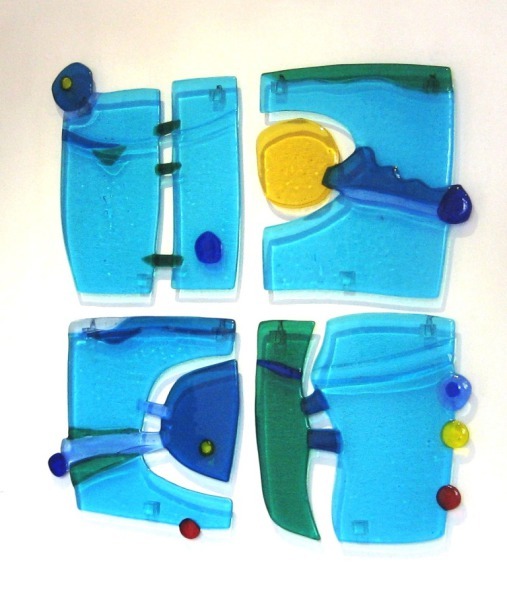 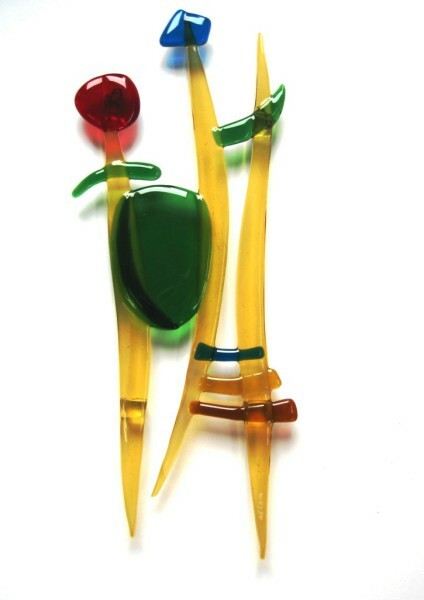 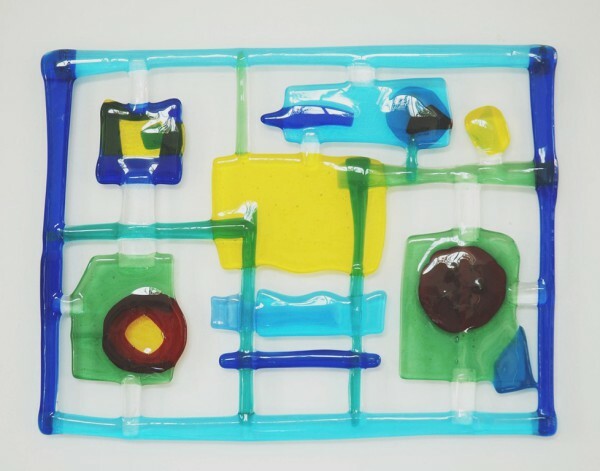 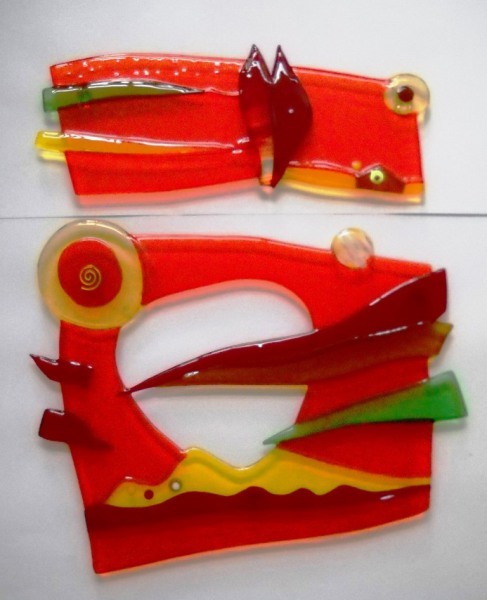 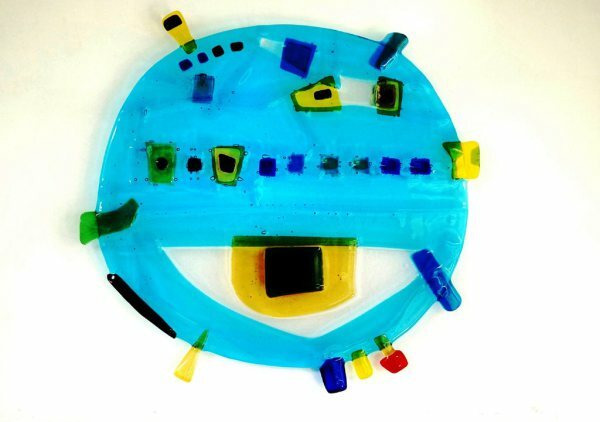 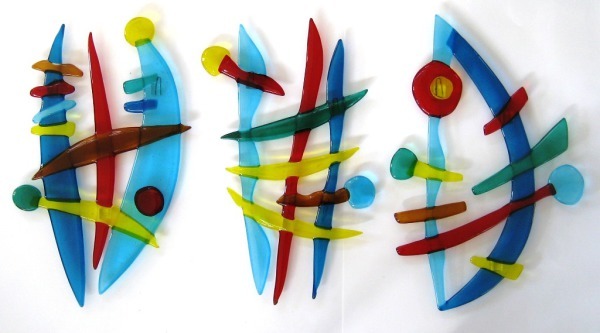 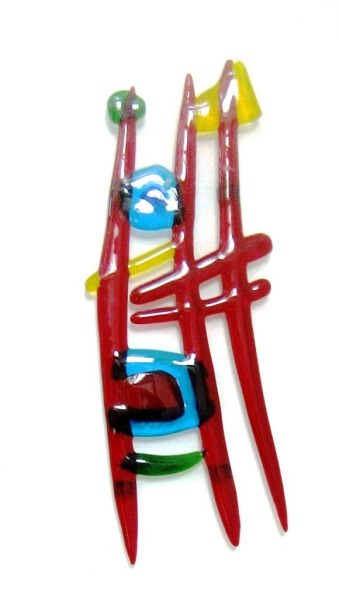 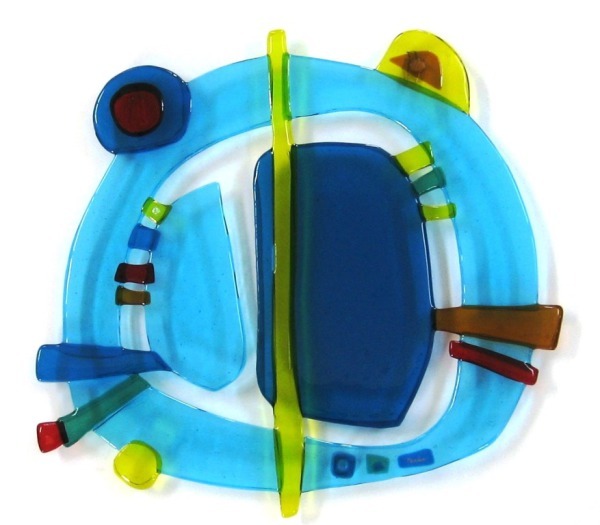 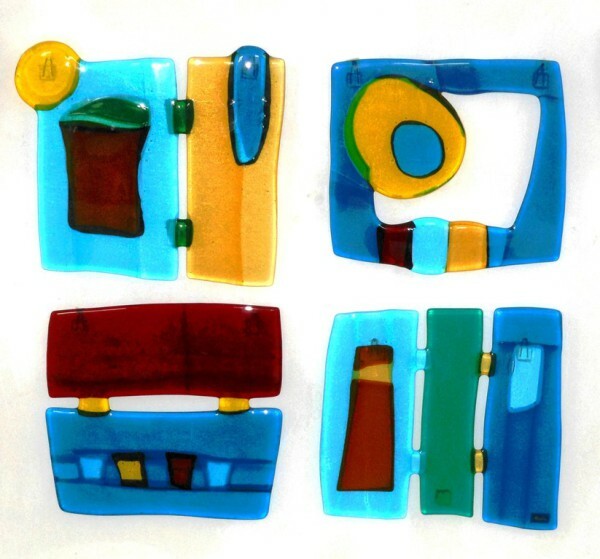 This is an exciting concept developed in the studio of Robert Nechin - fused glass wall pieces.The shapes are totally free, and the colors are uplifting. 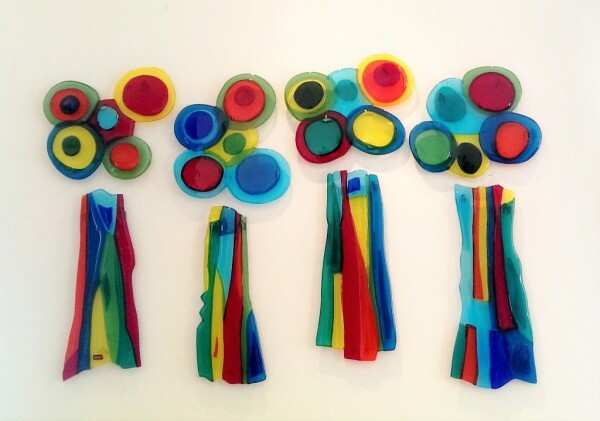 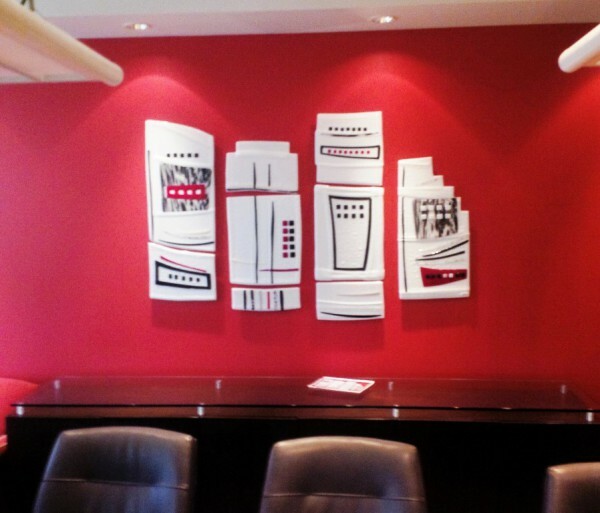 The artist developed a method of hanging the pieces slightly distanced from the wall - so as to allow light to pass though them, giving them life. 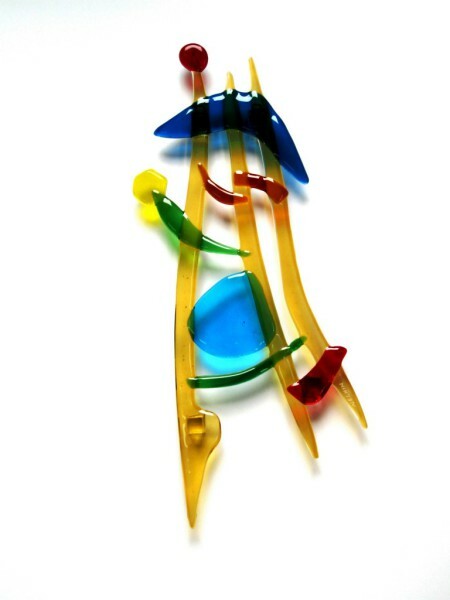 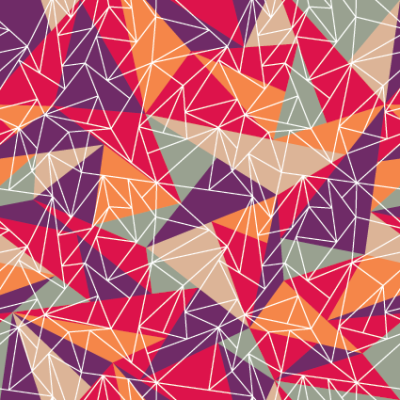 The result is playful and uplifting - with a dash of humor. 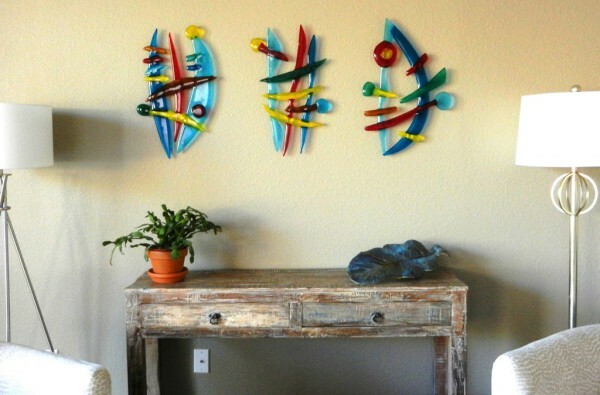 The artistry here is serious, and the works strike a cord on the emotional level. 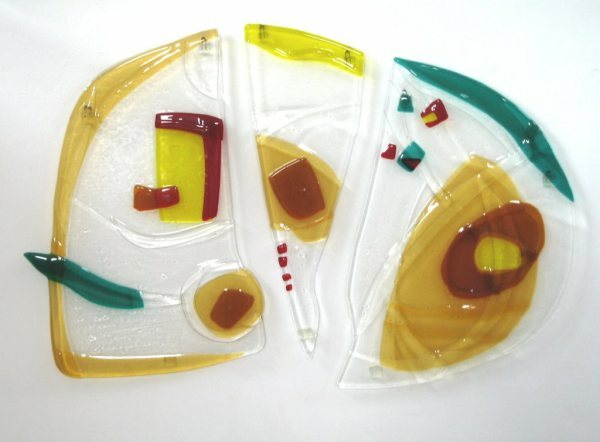 These pieces have been exhibited in galleries and museums in Israel and the United States.